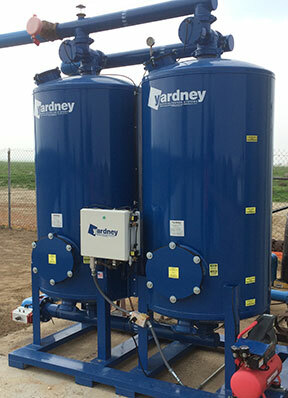 Since 1965 Yardney has defined the technology and art of water filtration by developing innovative water filtration solutions for irrigation, process industries, HVAC, municipal, electronics, metals, and food industries. As a world leader in water filtration Yardney has produced over 100,000 standard and custom engineered systems. All built upon their founding principles to deliver solutions for water filtration with no compromise in quality. Currently, Yardney has two state of the art buildings dedicated to research, design and manufacturing, encompassing over 115,000 square feet. With a staff of 65 employees, and with plans to continue expanding, introducing technology solutions that can scale are important parts of staying competitive. Before the addition of the new facility communications among employees was not a problem. However, as the company expanded the old telephone system didn’t have the capabilities suitable for the operational needs of the business. With Yardney’s dedication to always provide its customers with superior service first; they knew their old phone system was not up to the task at hand and needed a resolution immediately! Finding a communications system that could support this mission meant identifying a true Unified Communication solution that would not only solve their current challenge, but grow with their expanding business. – Yardney required more than just another phone system they needed a future proof solution. amongst multiple buildings, the company needed to be able to increase capacity without the complexity of operating two independent telephone systems. “It was important that the phone system be cohesive amongst the two locations and support the operational means of the business,” expressed Chris Phillips (President). They needed a solution that would be able to meet their objectives as well as grow with them. Yardney’s previous digital phone system was only 4 years old at the time, and lacked the capability to expand across multiple locations and support for teleworkers. While Yardney explord other telecom products that would help achieve their objectives the phone system was only one of the moving pieces when it came to expanding their technology systems, and the other vendors did not offer a true solution. Fernando Borja, Business Development of Netgain Networks, Inc. in Riverside, CA. identified the two locations were within line-of-site and presented a licensed Gigabit fixed wireless bridge to link both locations. The bridge implementation not only addressed the telephone communication challenge. It allowed Yardney to address three other challenges, ultimately unifying there information technology systems, video surveillance systems, and eliminating a second ISP and telephone service expense. Understanding all the other challenges outside the phone system allowed Fernando to introduce Netgain Networks professional services and Digium Switchvox as a true scalable solution. “I knew Fernando from a previous video surveillance project and I liked the fact that we wouldn’t have to purchase two phone systems, or the additional recurring cost for Internet and telephone services at the second building. Eliminating the recurring cost was really the driving factor for us,” stated Chris. Yardney, satisfied with the solution presented chose Netgain Networks as their telephony consultant. Identifying and analyzing Yardney’s telecommunications and network requirements allowed the Netgain Networks team to design and implement an enterprise grade network solution across both locations. The solution consisted of updating the existing networking equipment to managed PoE network switches, and the introduction of licensed fixed wireless bridge between both locations. 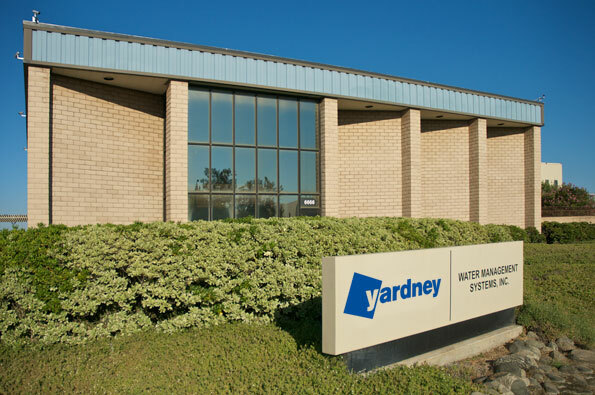 “The network equipment is the foundation that allowed Yardney to expand not only their telephone system, but there Enterprise resource planning (ERP) application, and their video surveillance system across multiple facilities,” stated Fernando. During this time Netgain advised Yardney to look at their existing telecommunications contract and introduced a new telecommunications carrier that allowed Yardney to double their internet speed while keep their recurring cost the same. After completing the upgrades and changes Yardney went live mid-winter of 2014, with Switchvox UC solution as a replacement for their legacy Nortel system. The results were amazing, Yardney was able to save thousands of dollars on the telecommunication cost at the second location. The savings funded the telecommunications incentive and allowed Yardney to centralize their infrastructure for voice, data, and video surveillance by placing all users and buildings on one integrated platform. In addition to the much-needed connectivity, Yardney employees enjoy the call recording and call reporting features of Switchvox; as well as the Automated Call Distributor (ACD) and call queues where they can route calls between offices. Their warehouse workers and many teleworkers also use Find Me/Follow Me, which enables incoming phone calls to be received at different locations, on different phones .“As business continues to grow and additional resources are added we have optimized communications and found a true technology partner,” said Chris, “Netgain helped us meet our business needs today and into the future.” Perhaps more importantly, Yardney is expecting to see positive results in their investment by saving $7,200 per year by eliminating the needed broadband and phone lines at its second location. As result of the deployment experience and realizing cost savings, Chris Phillips stated “Yes, I would recommend Switchvox and Netgain Networks to other manufacturing companies.” By bridging both locations not only were the phones integrated, but it allowed Yardney to address three other information technology challenges, ultimately unifying there information technology systems, video surveillance systems, and eliminating a second ISP and telephone service expense. All which helped Yardney through their expansion, supported their growth strategy, and solidified our ongoing partnership.